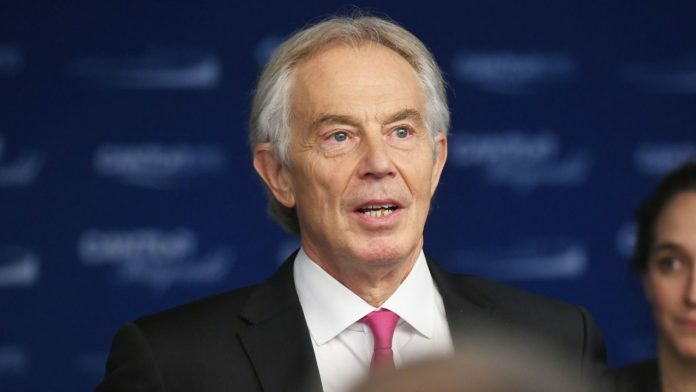 Tony Blair has called on Labour MPs and members unhappy with the direction of the party not to try to set up a new centrist group as it “may be impossible”. Mr Blair, who led Labour from 1994 to 2007, said “serious figures” should instead tell its leaders not to move towards the extremes. The former prime minister, who won three elections for Labour, said his comments applied to both Labour and the Conservatives in a conference season that will be “a watershed in British politics” because of Brexit. 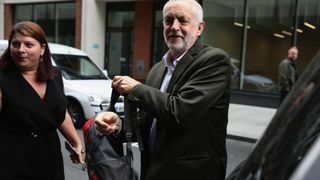 Rumours that Labour MPs unhappy with current Labour leader Jeremy Corbyn would try to leave to form their own party surfaced over the summer. But Mr Blair wrote in The Times: “I am not advocating a new party, organising one, or wanting to vote for one. “In the British system such an endeavour may be impossible. Mr Blair was an advocate of what was sometimes called the “third way”, a type of political philosophy that broke from the more socialist policies of 1960s and 1970s Labour governments and yet was more state-oriented than the free-market tendencies of 1980s Conservative governments. A week ago, Mr Blair said that under Mr Corbyn, Labour was now a “different party” than it had been in the past, but he hoped it was not “lost”. It prompted Jon Lansman, founder of the Corbynite Momentum movement, to say Labour would “never” again choose the kind of policies advocated by the ex-PM and said he “was never in the right party” anyway. But Mr Blair countered in Saturday’s comment piece: “Clement Attlee and Ernest Bevin, in the 1945 Labour government, set up NATO, allied themselves to the USA, initiated the British nuclear deterrent and shut the door on the Marxist left. “Successive Labour leaders kept the door firmly shut. Under Jeremy Corbyn the door has been opened, and with a welcome mat. “In have poured these outcasts, suddenly in charge of a potential party of government. Much of the disquiet in the Labour movement over the summer has stemmed from an ongoing row over antisemitism. Mr Blair used his comment piece to attack the local party’s no-confidence vote in Enfield MP Joan Ryan “because of her role with Labour Friends of Israel”. It came as Liberal Democrat leader Sir Vince Cable urged disillusioned Labour and Tory supporters to jump ship to his party. He said: “I want to make an open pitch to the people of this country who are fed up with the extremes of the current Conservative and Labour parties. Meanwhile, on Friday, Unite union leader Len McCluskey told the BBC that Labour could attract more members if Tony Blair left the party.